On arrival at Port Blair airport, you will be met and transferred to your hotel, Check in make yourself comfortable, After freshen Up proceed to the very first beach the Corbyns Cove Beach for swimming and beach activity which is 10 km away from Port Blair City on the way visit science Museum, then visit cellular jail followed by Son et Lumen-ere show at Cellular Jail. Return back to your hotel evening free for own activity, Overnight stay at hotel. 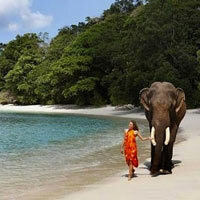 As per your boat timing we will proceed for Havelock Island by Speed Boat. The journey takes 2 hrs from Port Blair, after arrival at Havelock Island proceed to Beach No.7 this beach is called Radhanagar Beach and is one of the most popular beaches on Havelock and was named Best Beach in Asia by Time in 2004 . Return back to your hotel, Evening free for own activity. Overnight stay at hotel. After breakfast explore one another beach the Elephants Beach (By fiber boat), this beach is famous for Corals , You can go for snorkeling. Overnight stay at hotel. Check out time of the hotel is 09.00 Hrs. 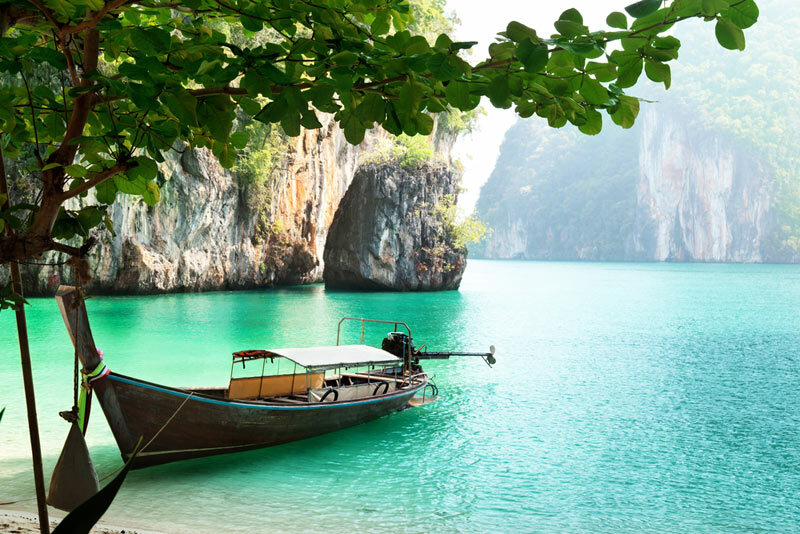 Keep your luggage at reception and proceed to explore Kala Pathar Beach. After visit drop at Jetty to catch the return boat for Port Blair , on Return to Port Blair back to your hotel, evening free for own activity, Overnight stay at hotel. After breakfast proceed for excursion trip to Jolly Buoy Island , 40 Kms from Port Blair by Sea - An island in Mahatma Gandhi Marine National Park, it offers a breath taking underwater view of coral and marine life. 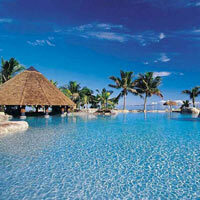 It is an ideal place for snorkeling, sea bathing and basking on the sun kissed beach. 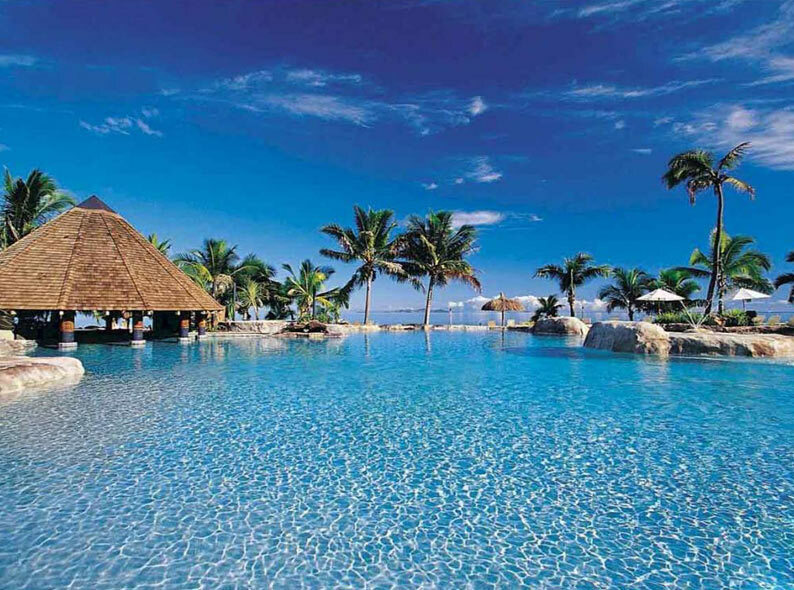 Or you’ll visit another island, Red Skin Island - An Island in a nice beach and offers spectacular view of corals and marine life. 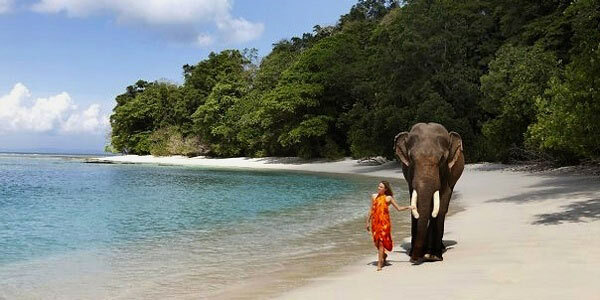 Return to Port Blair back to your hotel evening free for own activity, Overnight stay at hotel. Morning free for packing & personal activities, on time 08.00am check out from the hotel & proceed for Chatham Saw Mill, Samudrika, Anthropological Museum, Fisheries Museum ( City tour depends on the flight departure time if not covered on the departure day it will be organized on the day of arrival ) on time transfer to Airport. Tour Ends.